Skin Cosmedics is established to provide premium and medically-approved skincare to all clients…at a competitive price. 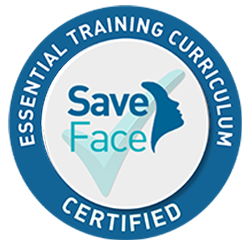 We have cutting-edge technology plus in-house professionals that are trained in ALL areas of skincare. Highly recommended. Professional and friendly service. Myself and my sister had a chemical skin peel today and my skin is glowing! I’m looking forward to see the results over the next few days. Highly recommended. They were very helpful, and I hate anything to do with surgery/hospitals etc. They did everything to put me at ease and help me relax. The surgery was quick and didn’t hurt. I’ve had a few treatments now. Thank you for all your help. Aisha has been treating me for the last few years as a client and I would not go anywhere else. Her customer care and expertise is five star. She makes you feel home from home and comfortable, answering any concerns you may have. I would highly recommend this clinic.